We loved, loved, loved the design and construction of this cabana! It is all natural wood, clear down to the deck railing. There was a coffeemaker, lots of pots and plenty of dishes. The setting is safe and has a forest view, with chairs on the deck, for morning coffee. Amazing cabin in a very amazing location. The views are wonderful. Great to spend quality time with your significant other! This is like staying in the middle of the cloud forest. Our host Liz was so wonderful helping with getting taxis and addressing any questions or concerns that we had immediately. The home was immaculate! While there, please visit Stellas! 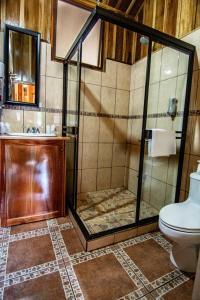 Excellent location out of the main town and off the main road. The cabin is well built and very clean with lovely views off the back deck. The host met us there with the keys, a map, and valuable information. We were able to walk to the night walk she arranged for us on our second night there, which was awesome! Wish we had planned more time there. Our cabana was very comfortable, clean and private. 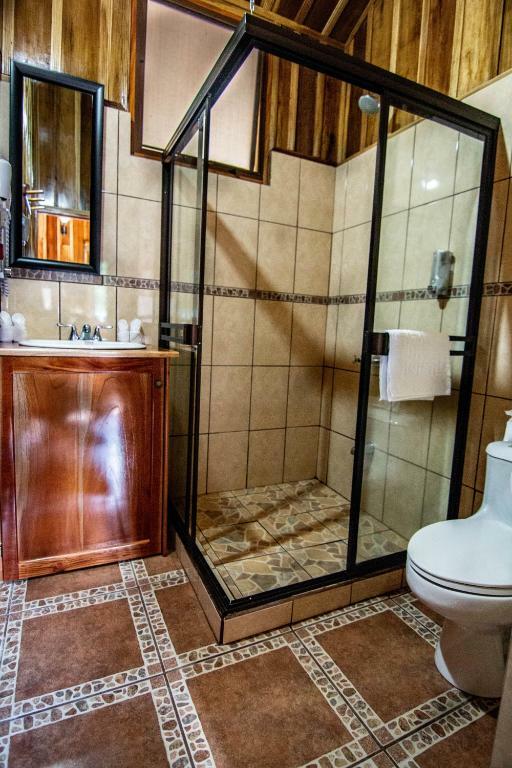 It had modern appliances and bathroom, and beautiful wood paneling. We enjoyed the spacious porch and lush view. Liz was an excellent host who provided great recommendations from tours to shopping to restaurants. We'd definitely stay here again! Cabañas Hoja Verde is a great place for a family to stay in Monteverde. The cabin was perfect for our family of four (parents and a 10 and 12 year old - from NYC). Liz met us at the door and showed us around, and she and her aunt and uncle made sure we had everything we needed. Liz, super upbeat and very knowledgeable (she works as a nature guide), also arranged a zip-line canopy adventure for us and a night tour with a company just across the road. The cabin is a short drive (<5 min) from Saint Elena, or only a 20 minute walk (we did it by car or foot depending on our energy level). If you want a quiet place and a full kitchen and deck with a lovely view - this is a great option. Our stay was more than amazing: the room was extremely clean, the kitchen was filled with everything you'd need to cook, great private location, the owners were very friendly and helpful and we ended up staying an extra night. Highly recommended! Our hosts were wonderful! Felix, the owner, gave us a ride to the airport after our stay and was very friendly. I am sorry that we were so tired and did not get to chat more. Liz was welcoming and answered all of our questions with patience. She helped us find the exact right activities to do and was honest with her answers. She even came in and cleaned up after us on a day that we were running late and left a huge mess behind. We didn't expect this of her, but we greatly appreciated it. She also was only a text away for most of our stay. Within minutes, she booked a taxi or excursion for us each time we needed. Our short stay here was wonderful. Lock in a great price for Cabañas Hoja Verde – rated 9.4 by recent guests! Cabañas Hoja Verde holiday homes are located in Monteverde, Costa Rica within the Monteverde Cloud Forest. 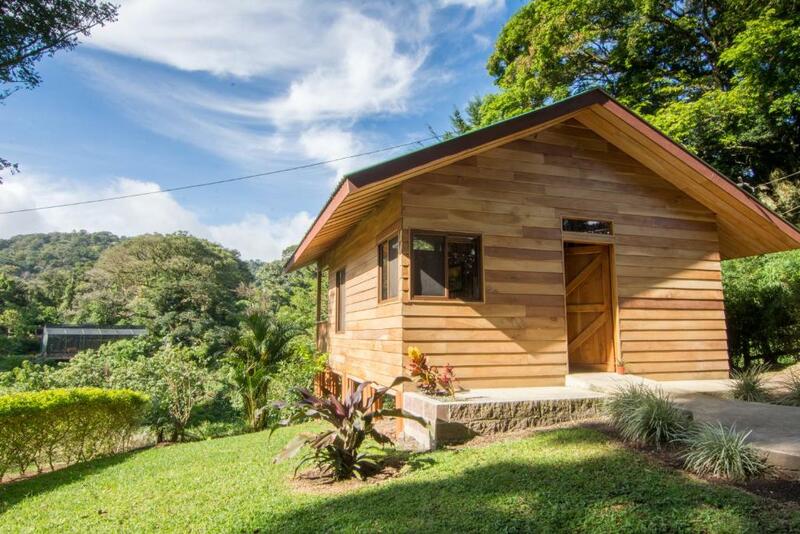 Monteverde Botanical Garden is 1.1 mi away from the homes. 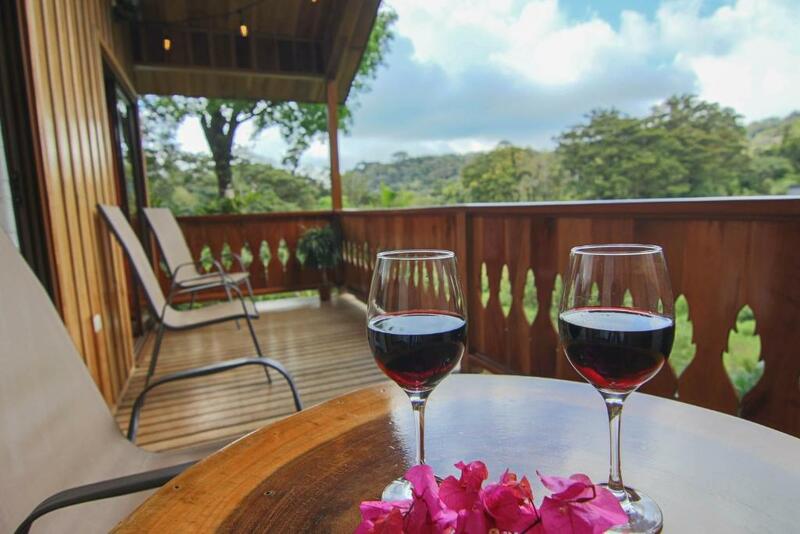 Offering free WiFi access, the holiday homes also include a terrace with a hammock and mountain view. 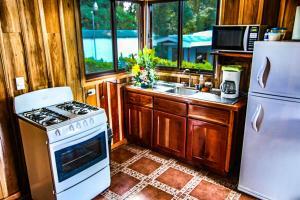 A kitchenette with an oven, microwave, coffee machine, and kitchenware is included. 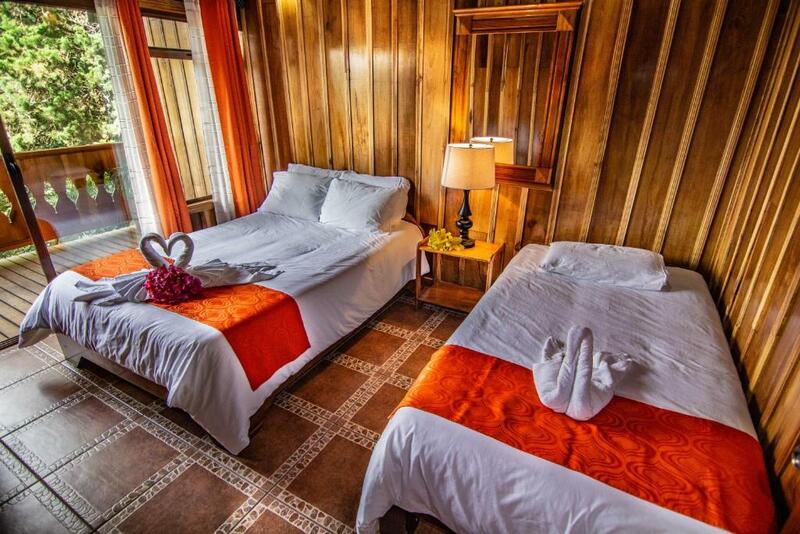 The nonsmoking property offers free parking and laundry facilities. A shuttle and airport transfer service are available for a surcharge. Night Walk Santamaria´s, a 2-hour walking tour offered in the evening to explore animals residing in the Costa Rican forest, is located only 700 feet from the holiday homes. 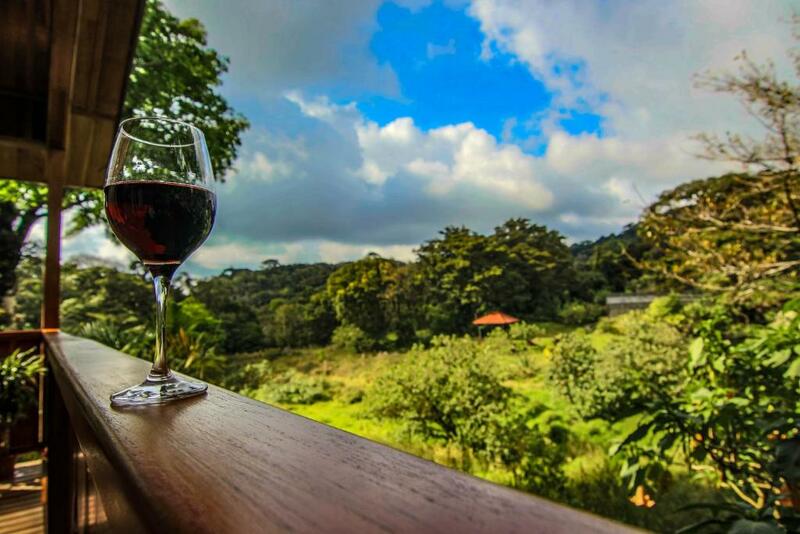 Don Juan Tours, which features coffee, chocolate, and sugar cane tours, is 0.7 mi away. When would you like to stay at Cabañas Hoja Verde? 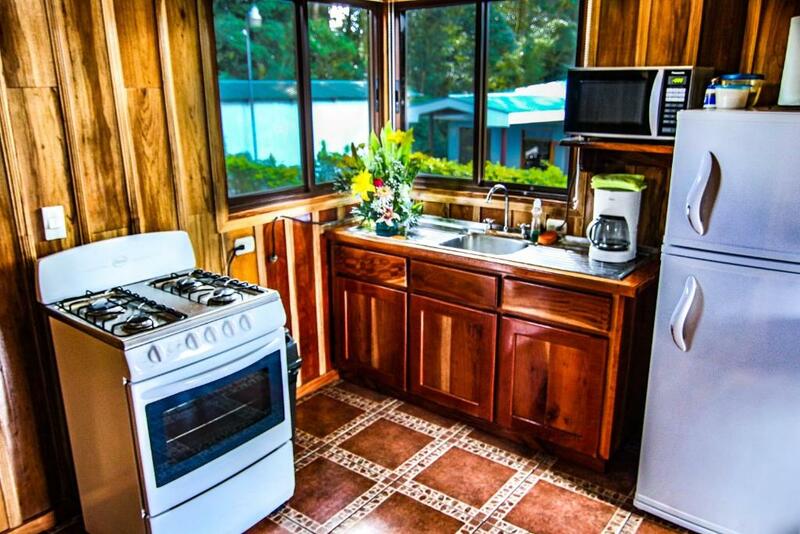 This holiday home features a kitchenette, dining area, and terrace. 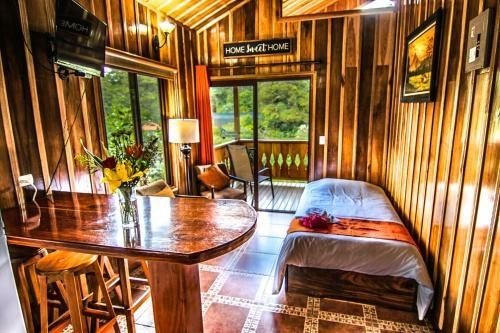 House Rules Cabañas Hoja Verde takes special requests – add in the next step! Please inform Cabañas Hoja Verde of your expected arrival time in advance. You can use the Special Requests box when booking, or contact the property directly using the contact details in your confirmation. There is nothing we didn't like! 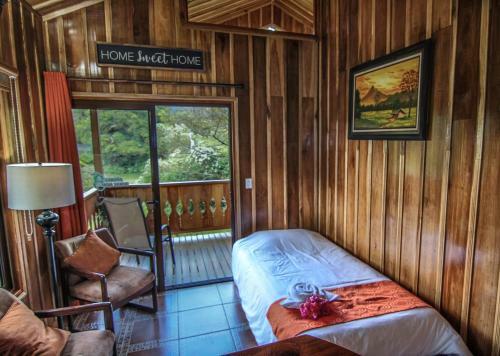 Lovely location next to two cloudforest night walk tours (Santamaria and Refugio Silvestre), perfect for our family. Felix and his wife are friendly and helpful hosts. We only had a couple of minor complaints. One, the water was shut off for some repairs without informing us first one morning. After a quick text to Liz, the water was back on in a couple of minutes. One of the toilets also began leaking. Unfortunately, the toilet didn't stop leaking, but since there were two, this wasn't a huge deal to us. Lastly, Liz was not reachable for our last day there. This wouldn't have been a problem, but without her, we had no way to get around. We had trouble finding the correct phone number to call for a taxi. Because of this, we were stuck in our hotel for our last hours of the day and were not able to catch the sunset or dinner. It would be nice to be provided with the number upon arrival, just in case. Overall though, I would love to stay at the property again. A bit further from town than we would have liked. Pretty location, but hard to find. Very convenient to a night walk venue - 100 metres from property. Kitchen well supplied with utensils, pots, pans etc. You would definitely need your own transportation to fully enjoy the stay.